Free Shipping Included! The Display Guys 16x16 Framed Masonite Cut-Out Wall Décor, Art Decor, Home Office Decor, Decorative Fun Design. No Glass. 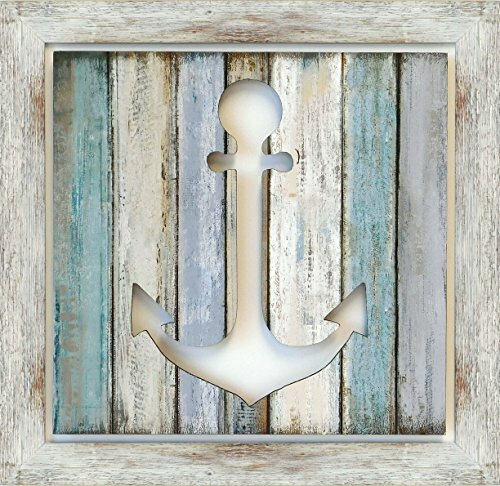 (Anchor Design) by The Display Guys at Home Decor Outlet Store. Hurry! Limited time offer. Offer valid only while supplies last. READY TO HANG. Excellent Home Décor has a Sawtooth Hanger that is already screwed on the back of the Frame for easy and ready to hang on the wall for home or office decor. Outstanding Art Décor that will enhance any room in your home, office, business place or apartment to give a remarkable feel and vibe. Bring Appeal and Color to your wall space, alter the mood by filling out the gaps and bring excitement to any room. Wonderful decorative and fun design!